Pants: J. Crew Factory(last year), these are super cute and on sale! 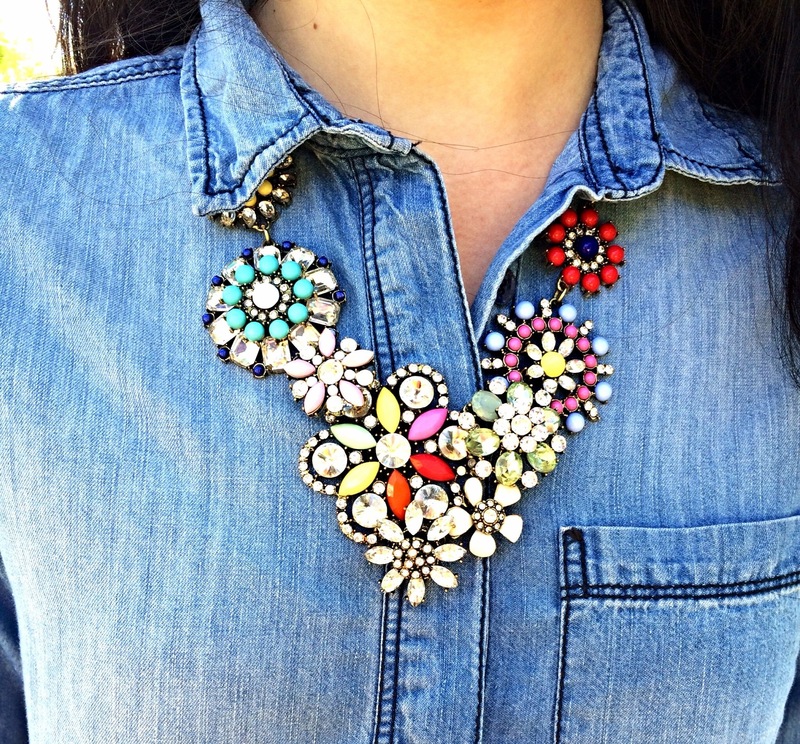 Necklace: Brina Box(no longer available), love this!! Wedges: Kate Spade(found them at Nordstrom Rack!! ), sold here! 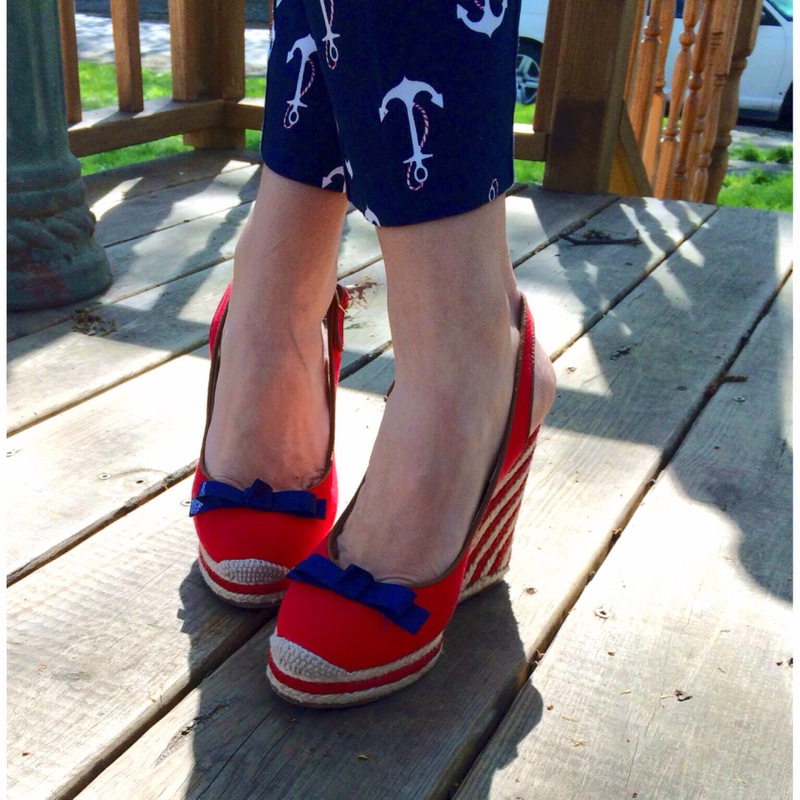 I’m obsessed with anything nautical and can we talk about my wedges I found at Nordstrom Rack??!!! In love!!! Ladies, RUN to your nearest Nordstrom Rack NOW!!! It is still chilly in Illinois, so the closed toe wedges is perfect! I’ll be wearing them all the time!!! So, I’m still wearing my normal pants, but I have a feeling I’ll be breaking out the belly band and maternity pants in the next few weeks…. Yikes!